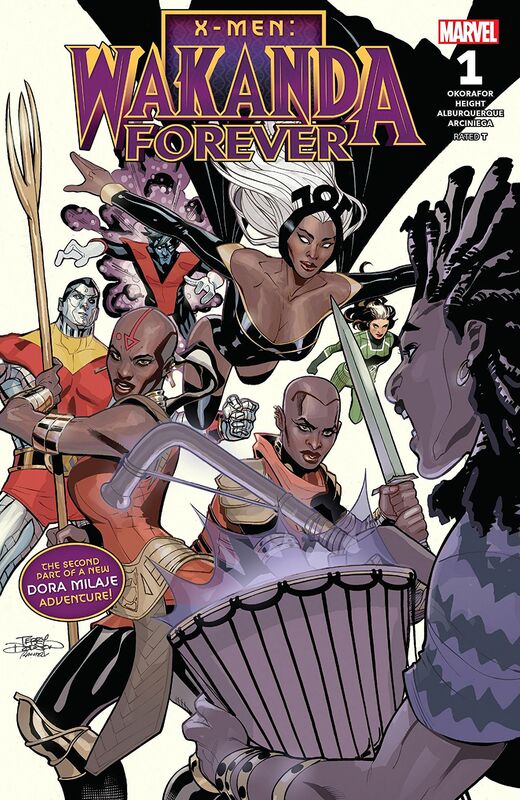 Marvel Preview: X-Men: Wakanda Forever #1 – AiPT! Former Dora Milaje member and eternal troublemaker Nakia, A.K.A. Malice, has set a trap to lure the Black Panther into her obsessive clutches! Former Dora Milaje member and eternal troublemaker Nakia, A.K.A. Malice, has set a trap to lure the Black Panther into her obsessive clutches! Step One: Take out the Panther’s one true love, Storm of the X-Men! But Nakia didn’t count on the interference of her former warriors-in-arms, the fierce Dora Milaje — and they’re hot on her trail. Can Okoye, Ayo and Aneka capture Malice before she wreaks havoc on their king’s life — again? The talented Ray-Anthony Height joins best-selling author Nnedi Okorafor for the second installment of WAKANDA FOREVER!